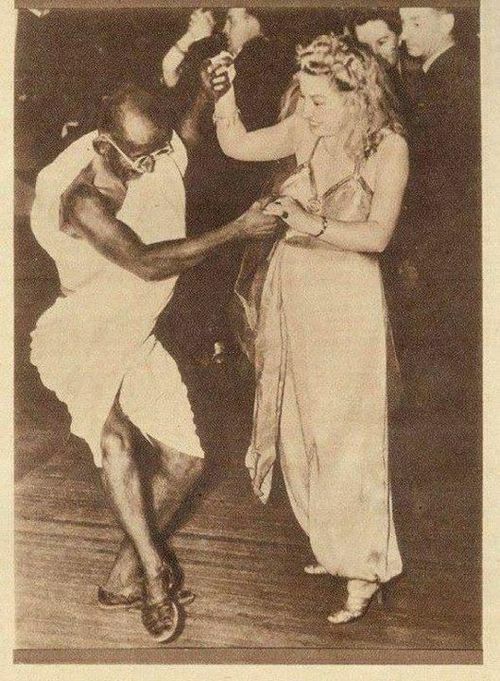 Redditor “Dakshesh” posted an image showing Mahatma Gandhi busting a move on the dance floor. Via Reddit. Another way of saying that the destination is not the goal, it is the journey. Lär mig de svåraste stegen! i turer som ingen kan ana! med dig som partner i dansen! den famn som fångar och bär mig. Below is an attempt to translation – but as Margareta Melin felt when I emailed with her a few years ago: it doesn’t make it justice. I think you do get the meaning of it though. Teach me the most difficult steps! in routines that no one can foresee! with you as my dancing partner! the arms that catches and carries me.